We are delighted to welcome to our school community, 4 Artists in Residence – Janetka, Louise, Betsy and Esther – who are working in their new Studios in C block. This initiative is a unique partnership with Cubitt Arts which has revived our old woodwork room. In exchange for affordable rent the Artists will be working with students and staff on lots of exciting creative projects. As a result of this new partnership, this week we hosted St. Martin’s School of Art and Brazilian Artists who collaborated with our more able MFL students in a workshop to develop a dialogue with young people in Sao Paulo through the arts. 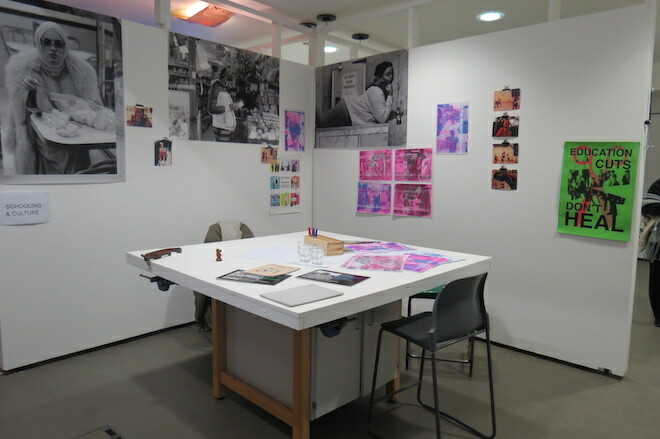 The Artists have also converted a small kitchen in to a Photographic Darkroom which will run after-school sessions in January 2019.